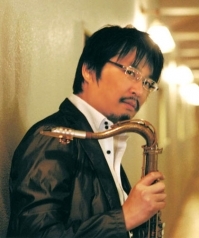 Tetsuro KAWASHIMA, a tenor saxophonist and composer, was born in Toyama Prefecture on August 9, 1966. He learned to play the piano and the trumpet during his childhood, and he took up the tenor saxophone when he entered senior high school and joined the school brass band. During this time his main musical interests were in classical music, rather than jazz. Upon graduating from high school, he entered the Okayama College of Science, where he majored in applied physics. He joined the light music club and came to know the joy of playing jazz. Improvising music freely was a great thrill for him and he devoted himself to it. After graduating from college, he chose to work for a machinery maker in Nagoya. 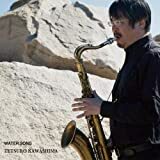 On weekends he performed live at jazz clubs, where he got the chance to join in sessions with musicians from Tokyo, such as trumpeter Tomonao HARA and drummer Masahiko OSAKA. 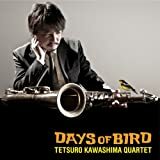 With their encouragement, at the age of 27, Tetsuro KAWASHIMA decided to move to Tokyo to start a new life as a jazz tenor sax player. 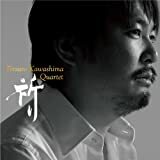 Starting with the HARA-OSAKA Quintet, he participated in many of the bands of Japan's top musicians, such as pianist Mikio MASUDA, trumpeter Terumasa HINO, pianist Junko OHNISHI, and drummer Motohiko HINO, and also joined in a variety of recordings and sessions. In 1999, he released "Eternal Affection" under his own name, and followed this release with "Burnin' Four Nights," his first live recorded album. 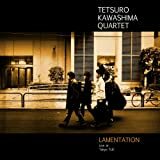 He formed the Tetsuro KAWASHIMA Quartet in 2000 and released "My Soul" and "Emotion." The selections on these albums are mostly his original compositions. 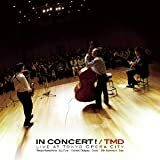 The tracks "You don't know what love is" and "FIRST LIVE" were released under the name Tokyo Meikyoku Do (TMD), a trio specifically formed for the playing of jazz standards. From 2002 into 2003, he released four albums recorded in New York. "Suna--an edge of standards," "Cresta," and "True Eyes," are collectively referred as "A Trilogy in New York." The latest album, "Mambo Montage," was produced by Kip Hanrahan. His brilliant sound stands out amidst the intense latin rhythms. Every work displays his prominence on Japan's jazz scene as a musician and composer. KAWASHIMA also performs live energetically both in club and concert hall settings, mainly in Tokyo. Besides the saxophone, he occasionally plays the flute, the piccolo, and even the bass clarinet. Many Japanese songs have recently been added to his repertoire. 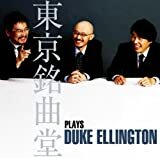 Audiences are impressed not only by his superb technique and musicianship, but also his positive attitude toward jazz and sincerity. 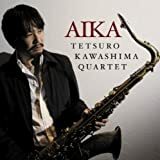 Since 1999, he has been voted most popular tenor saxophonist of the year by the readers of Japan's jazz magazine Swing Journal. 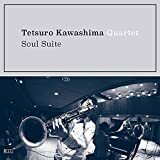 Tetsuro KAWASHIMA is now one of the top musicians leading Japan's jazz scene, and he will keep moving forward in pursuit of his own sound.